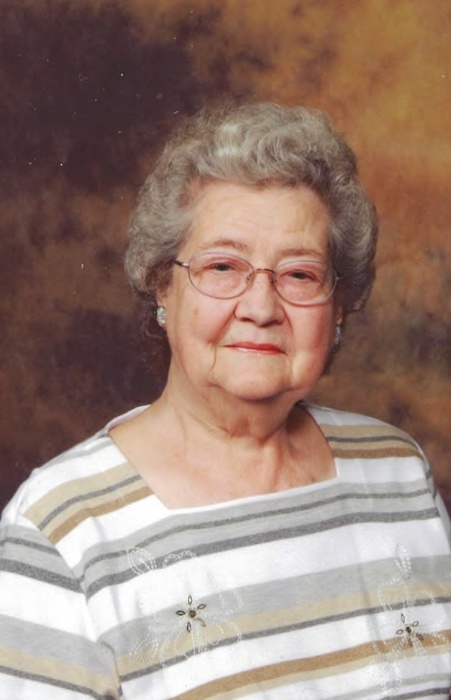 Helen C. Johnson, 90, of Huntington, IN, passed away on Sunday, December, 2, 2018, at 7:55 p.m., at the Heritage of Huntington. Mrs. Johnson was born on September 19, 1928, in Jefferson Township, Whitley County, to Sylvester and Marietta (Pequignot) Hinen. Her parents preceded her in death. She married Russel Johnson on May 14, 1949, and he preceded her in death on December 28, 2004. Mrs. Johnson was a homemaker. Helen did work for many years at the Hallmark Store in Huntington. She was a member of SS. Peter & Paul Catholic Church and served as a Eucharistic Minister. She was also a member of the Rosary Sodality and a member of the Ladies Auxiliary of the Bippus Fire Dept. Helen is survived by three sons, Keith (Deb) Johnson, Fort Wayne, IN, Rex (Debbie) Johnson, Huntington, IN, Terry Johnson, Huntington, IN; five daughters, Cheryl (Ron) Hochstetler, Huntington, IN, Jeanine (Greg) Griffin, Garrett, IN, Mary K. Johnson, Huntington, IN, Joyce (Robert) Johnson-Bozarth, Auburn, IN, Amy (John) Burton, Camby, IN; two sisters, Dorothy Ray, Jeannie Zorger, both of Columbia City, IN; 18 grandchildren, 8 step grandchildren, 22 great grandchildren and 19 step great grandchildren. Along with her parents and husband she was preceded in death by one infant son, Billy Johnson; three brothers, Sylvester Hinen, Harold Hinen, Robert Hinen; and one sister, Linda Kronenberger. Calling hours will be held on Tuesday, December 4, 2018, from 2:00 p.m. to 7:00 p.m. at McElhaney-Hart Funeral Home, 715 N. Jefferson St., Huntington, IN. Recitation of the Rosary will be held at the funeral home prior to the visitation at 1:45 p.m.
Additional calling hours will be held prior to Mass at St. Mary Catholic Church on Wednesday, December 5, 2018, from 9:30 a.m. to 10:30 a.m.
Due to renovations at SS. Peter & Paul Catholic Church a Mass of Christian Burial will be held at St. Mary Catholic Church, 903 N. Jefferson Street, Huntington, IN, with Fr. Tony Steinacker presiding on Wednesday, December 5, 2018, at 10:30 am. Preferred memorials can be made to Family LifeCare Hospice or Masses for SS. Peter & Paul Catholic Church in care of McElhaney-Hart Funeral Home, 715 N. Jefferson Street, Huntington, IN.